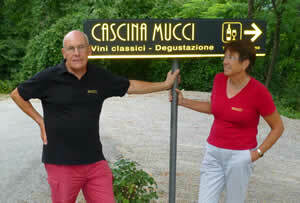 CASCINA MUCCI is a small winery located in the township of Roddino, situated 450 meters above sea level, in the hills of the Langhe near Alba. 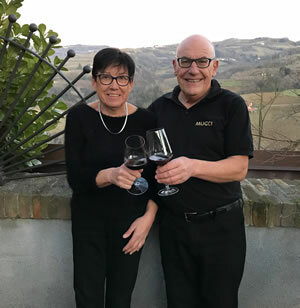 The Azienda CASCINA MUCCI started in 2000 and has currently about 1.8 hectares of vines from which it produces approximately 10'000bottles per year. 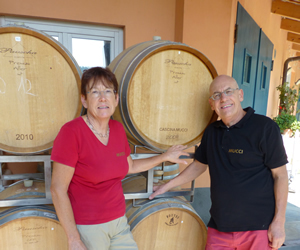 Their objective is to offer high quality wines by working precisely and passionatly throughout the year in the vineyards. Low yield and a scrupulous selection of the grapes during harvest is the basis of their wines. Also gently destemming, crushing and pressing allows them to bring the grapes full quality into the bottle. 2011 a very early year, but hail in july slowed down the ripening.Summary: quality excellent, quantity normal for Barbera. 2013 Cool spring with much rain. Summer was rather good and warm. But it was not enough to catch up the delay of spring. Very late harvest. For Chardonnay, Dolcetto and Nebbiolo good to very good results. 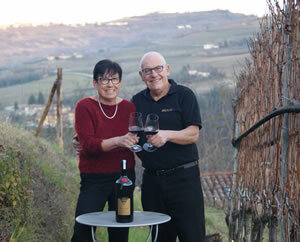 The Barbera has suffered most: low yield in favor of quality. 2014 Early bud burst in spring, followed by rather cool weather with plenty of rain. Hailstorm in June caused little damage and a lot of work. The beautiful late autumn came too late for the early red varieties: We have harvested no Dolcetto and a very small quantity of Barbera. The quality of the Chardonnay, the Nebbiolo and the Albarossa is good to very good, with reduced yields. 2016 Winter with mild temperatures and low rainfall, in March the temperatures dropped and there was plenty of rain. So we had good reserves of water but a delay in the vegetative cycle. Very good weather end of summer and autumn without hale. The grapes were healthy, had excellent aromas and a good sugar content. Harvest form 12.9.16 (Sauvignon Blanc) until 22.10.16. Well-ballanced wines with very good structure. In a nutshell: an year with optimal quantity and excellent quality. 2017 The winter was mild with only a few snowfalls. The summer was very hot and in particular we had sparse rainfall. The vintage was quite early. The yields were lower than the last two years but the quality was very good. 2018 Winter season extended until beginning of march, temperatures lower than in recent years. Bud break regular, frequent rainfall and lower temperatures. End of springtime temperatures were rising, then a long period of good weather. Nice weather in autumn helps the grape to ripen, good weather for harvesting. Rather late harvest for the red wines (5.9.-19.10.2018). Barbera and above all Nebbiolo had a low yield. Traditional vintage, well-balanced wines with a good aging potential.